I had the distinct pleasure this past Thursday (April 14, 2011) to speak at the AIGA Wisconsin’s “Sustainable Design Thinking” event. Modern’s Species‘ Gage Mitchell was the facilitator for me getting up to Madison from Champaign, IL. Gage and his wife Jennifer, and Brittany Barry were amazing hosts and I look forward to collaborating with them again on future events with AIGA Wisconsin. 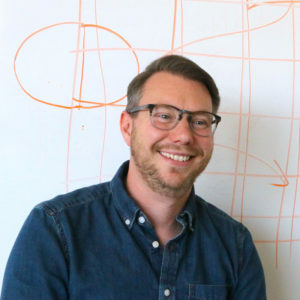 “Sustainable Design Thinking” kicked off with a 30-minute talk by yours truly but also importantly featured speakers from Mohawk Paper and Design Concepts, who together created an atmosphere of great discussion (which spilled into a post-drink dinner and drinks!) It was heart-warming to meet such passionate people in the audience whom are dedicated to creating a better future for our society and the profession. I felt the questions throughout the evening were direct and intelligent, with an obvious tone of concern. Seemingly much of the audience had experience with trying to design greener and were in attendance to learn more and meet like-minded designers. AIGA Wisconsin also asked me to create a “takeaway” for the event which would keep the audience motivated post event. 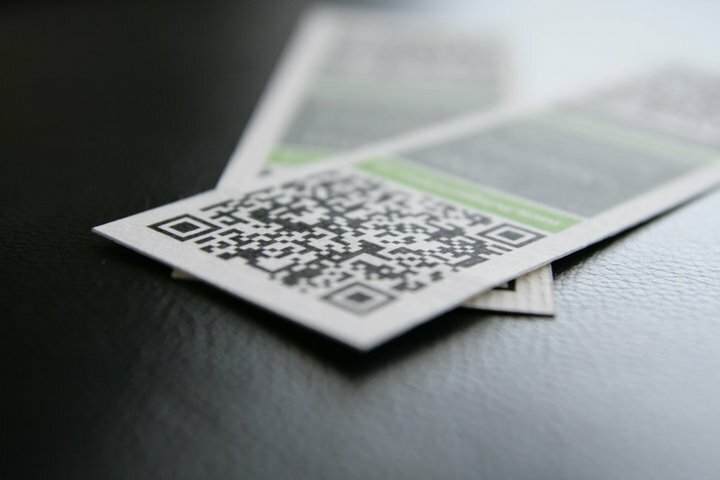 I worked with Brittany Barry and our Project Calculator to create the perfect sized bookmarks that maximized the 100% PCW paper donated by Mohawk. 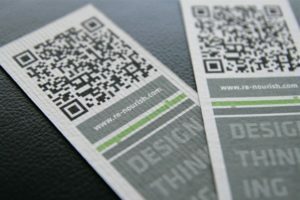 As much of the design thinking information was online and too long to fit on the bookmark, I utilized two QR codes which linked to Re-nourish and the Living Principles Sustainable Design Roadmaps.